Share IFPA’s animated film – This short video focuses on this year’s theme of breaking barriers – help spread it on social media and share it with friends and family. 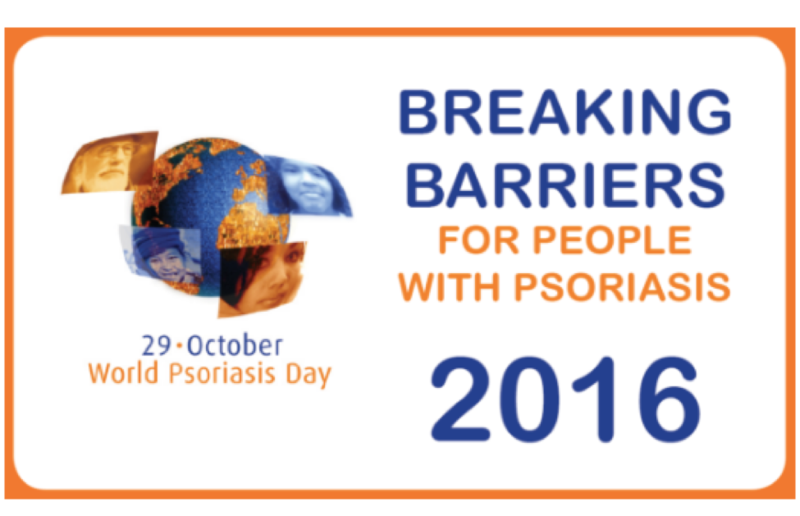 Join the Thunderclap Campaign – Sign up and allow Thunderclap to post a message on your social media on October 29 – they’ll be posting at the same time all over the world to speak up for psoriasis with one voice. And if you’re living with psoriasis, connect with more than 5,400 PatientsLikeMe members in the psoriasis community. Let’s rally together tomorrow and help break barriers.